High quality copy of the original Technical Data And Instructions sheet for the Omega Cat. No. 461-019 Dual Range I.C. Timer. High quality copy of the original Technical Data And Instructions sheet for the Omega Cat. No. 461-020 E-99 Enlarging Timer. High quality copy of the original Technical Information And Instructions sheet for the Omega Cat. No. 461-022 Program Timer. High quality copy of the Technical Information and Instructions sheet for #461-030 Omega Pro-Lab Timers. Instruction Manual for the Chromegatrol II stabilized power supply and timer. High quality copy of the original Omega instruction sheet for the CS-25 Automatic Exposure Control. High quality copy of the original Omega instruction manual for the CS-50 Automatic Exposure Control. High quality copy of the original Instruction sheet for the Omega Cat. No. 464-200 CT-20 Electronic Enlarging Timer. High quality copy of the original Instructions sheet for the Omega Cat. No. 464-225 CT-25 Digital Electronic Enlarger Timer. 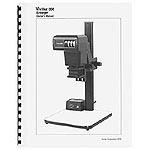 High quality copy of the Omega instruction manual for the multi-purpose CT-40 Darkroom Timer / Controller. Instruction manual for the Kostiner Component Masking Easel system. 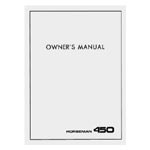 Original English-language factory instruction manual for the Horseman model 450 4x5 view camera. 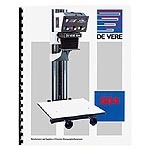 Instruction sheets for the Color by Beseler print processing drums and motor base agitators.